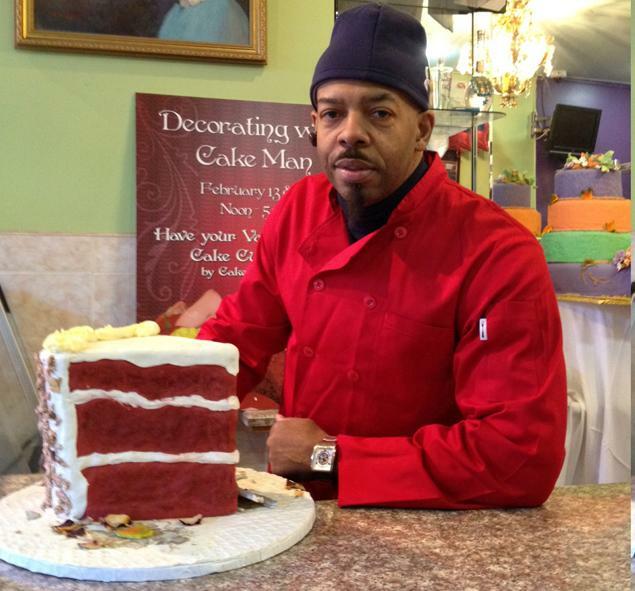 The New York Daily News reports today that Brooklyn's most famous red velvet cake bakery, Cake Man Raven in Fort Greene, is closing after 12 years due to a rent hike. The good news is owner Raven Dennis, above, plans to open two smaller bakeries, one in downtown Brooklyn and the other in Harlem, much to the relief of New Yorkers now addicted to the southern style cake. If you don't want to wait (or don't live in New York), you can make your own delicious red velvet cake. The recipe is here. Red velvet cake is so classy and so beautiful. I want so much to like it, but usually think the best part is the cream cheese icing. I'll give your recipe a go this year. Dawn - I think you'd love the RV recipe on my blog. It is really, really good.